Experience is of vital importance when it comes to electrical systems installations. Elsys Electrical Ltd provides professional electrical services, electrical testing and inspection in Harpenden AL5, Hertfordshire. If you are after Domestic or Commercial Electrician, which is experienced and fully certified in Harpenden AL5, Elsys Electrical Ltd is your first and best Choice. We are proud member of the National Inspection Council for Electrical Installation Contracting (NICEIC), the performance of our electrical services is carried out to the latest 17th edition of the Institution of Electrical Engineers (IEE) Wiring Regulations (BS7671:2008). In addition, we are Part P Compliance certified. Our services are 100% tested and deliver full customer satisfaction. Personal approach to every client. In Elsys Electrical Ltd, Our qualified electrical engineers deals with every electrical work in Harpendenon individual basis, as all of our customers are unique. We follow personal approaches to every client in order to deliver 100% satisfaction and successful service performance. 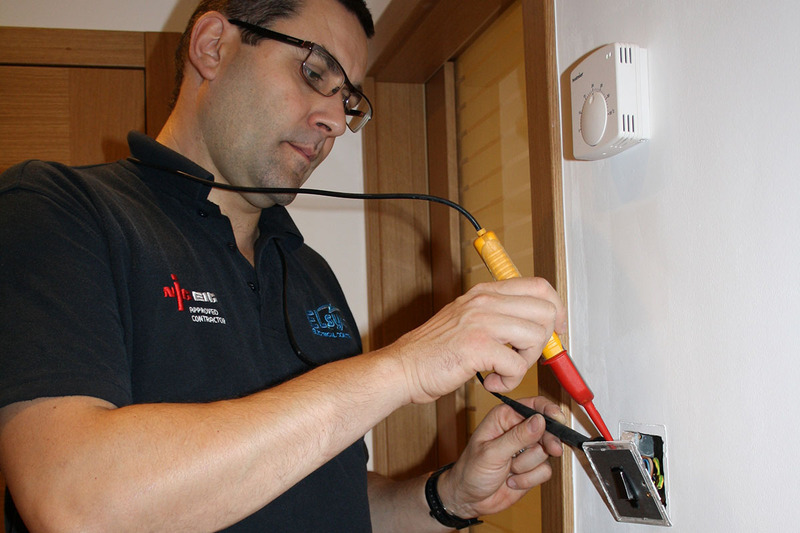 Our Local team of Domestic & Commercial Electricians in Harpenden AL5, provides electrical installation, testing and inspection services to high quality standards and according ti the latest industry regulations. Since its establishment in 2004, our company has built its reputation as one of the most reliable electrical contractors on the territory of Hertfordshire. Besides, we are one of the most preferred companies offering professional electrical services in Harpenden, Hertfordshire. Among our customers, you can find hundreds of private residences, local authorities, property developers, building and maintenance companies, estate agents and a lot more. Why chose Elsys Electrical Ltd.
Elsys Electrical Ltd has gained many regular customers. We have served hundreds of private residences, commercial buildings, organizations, local authorities, estate agents, builders and maintenance agencies, property developers and a lot more in Harpenden AL5 and the surrounding areas. The quality performance of our services helps receive a great deal of positive customer feedback every day. Feel welcome to review our reviews page and find out what people think about our electricians in Harpenden AL5. If you need quality electrician in Harpenden, Hertfordshire, Do not hesitate to contact us. Just call us on 01442 460 922 and get a free quote. You may also visit our Contact us page and leave us a message via the online contact form on our website. We will be happy to assist you. Please call us on 07921 511 681 if you need an emergency electrician in Harpenden AL5. a great service provided. i would recommend this company. james. I have used the services of Elsys Ltd on various projects and find the people running the firm to be honest and reliable who provide a service at reasonable costs. They always provide an excellent service. Thank you. Elsys Ltd. are Fantastic! Very prompt and Professional service. We will use this company a lot.